Meditation plays an integral part in a seeker’s quest for truth. 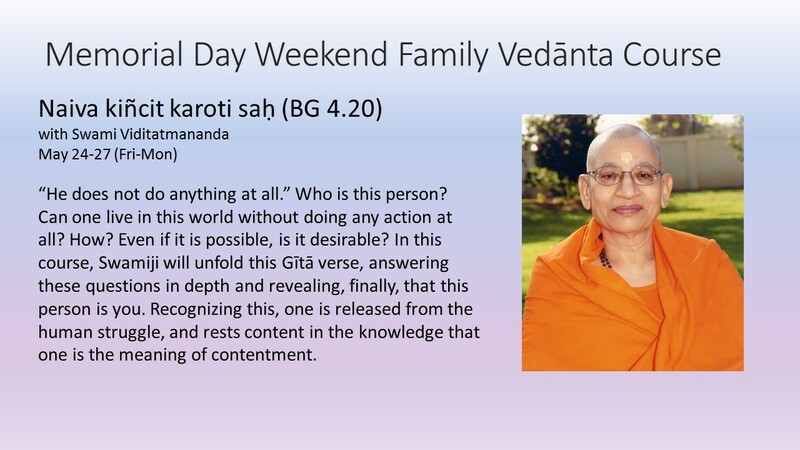 To receive the knowledge of Vedanta, one requires reverential equanimity in all situations; mastery over the ways of one’s mind; and grace. The first is achieved by karma-yoga. The other two are gained by meditation, defined in the sastra as a mental activity, which has Isvara as its topic. 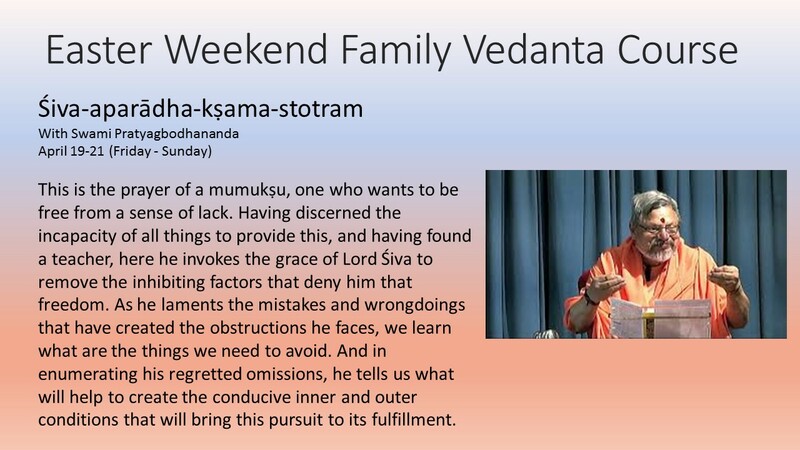 Swamiji will offer detailed, in-depth guidance on meditation that is consistent with the vision of Vedanta.